As technology advances, outdated approaches to emergency information management expose facility-related risks that have serious implications for business risk management. In the event of an emergency, the facility manager becomes the most important person in the building. The extent of business losses increases if the facility manager is unable to access and distribute information to building occupants and first responders. Moreover, recovering from a disaster requires facility managers to prioritize the restoration of mission-critical facilities. In business, every day saved by a well-coordinated recovery is a leg up on the competition. Yet, most risk managers overlook the fact that facility managers are forced to use outdated mediums to support their emergency efforts. 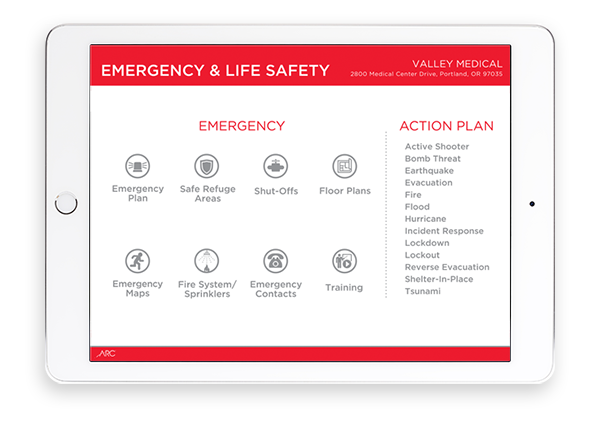 This week ARC® introduced a new Emergency & Life Safety mobile dashboard that enables facility teams to access all emergency information. The following five gaps within building information management put people at risk and could incur damages to buildings and costly expenses that could have been avoided by having information readily available. For any FM who has created action plans, flip charts are a common tool. Simple and (sometimes) effective, flip charts are created for every scenario imaginable—active shooter, fire, natural disaster, and more. The problem is, during an emergency most people’s first reaction is panic. Relying on people to maintain the presence of mind to grab a flip chart that has likely been buried in a file cabinet is not good risk management. Digital solutions, however, allow facility managers to create flip charts that are accessible on any device—offline or online. And if there’s one thing people will grab during an emergency, it’s their phone. The extent to which a disaster affects people and property is a direct result of the disaster response. Quick access to building information, specifically utility shutoffs, is vital to a facility manager’s response. 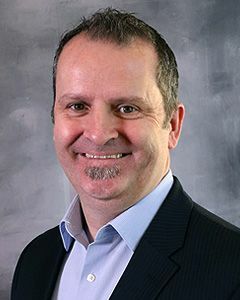 Problems tend to occur at the most inconvenient times, so relying on one longtime employee for building information represents a glaring hole in a facility manager’s risk management strategy. Centralizing this information on a computer, tablet or phone means an efficient disaster response is possible with any level of staff. The facility manager cannot mitigate the damage from an emergency without seamless coordination with building occupants. Yet, getting everyone on the same page, validating completion of training, and making policy changes is nearly impossible with paper. Digital solutions immediately sync updates to training programs organization-wide, eliminating the need for time-consuming training coordination. Just like policies and procedures, the physical environment of your building changes regularly. Having a current set of floor plans which you can hand over to first responders with the touch of a button is a risk mitigation silver bullet. Better coordination with first responders saves lives and property. Depending on the building, renovations may happen on a regular basis. These renovations trigger code compliance requirements. Often, facilities teams only become aware of these new requirements after the fact. This causes an unexpected blow to the renovation budget. Or, in a worse case, these new requirements only become clear in the aftermath of a disaster, opening facility managers and owners up to liability. With a digital repository synced to the most current Life Safety code, however, every project budget becomes transparent and compliance requirements can be followed to the letter. What else could a digital solution to your emergency and Life Safety plans do? And what might it look like? Watch this Campus Safety webcast or this Emergency Preparedness webcast to see industry experts discuss digital solutions in action. View more videos of how ARC can help. Related Healthcare Compliance Mobile Dashboard Emergency Preparedness: Critical Planning for Healthcare Facilities.